Chicago windows washers are tasked with cleaning and drying of glass surfaces on both the inside and the outside of buildings. Mostly, these workers are contracted with a cleaning company or building maintenance firms that normally specialize in doing various tasks pertaining to cleaning. Industrial firms and large businesses often hire cleaners on a permanent basis while some window washers have their own businesses in line with window cleaning. In many cases, these cleaners take up the task of cleaning glass surfaces in homes, offices as well as in a number of buildings in the cities or major towns. The work is not only limited to washing windows but they also involve washing mirrors, glass partitions and many other types of glass surfaces. Their tools of choice include sponges, brushes, or even wet clothes that they use to apply soapy water or any other cleaning detergents to the surfaces in order to facilitate the cleaning process. Eventually, they dry those wet surfaces using the chamois skin, squeegee or a piece of cloth that can absorb water. When working above the ground, window washers use ladders, scaffolding and to some extent, the swinging seats. 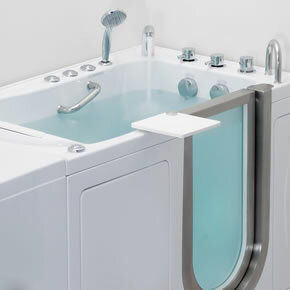 But what makes this work to be both fascinating and thrilling at the same time? As much as they like their job, window washers feel that that title does not go down well with their profession. As a matter of fact, most of them cringe at the mention of “window washers” and would often prefer a more professional title such as “window cleaning technicians”. This is the term that confers some aspect of respect as well as professionalism and it is more frequently applied when posting for window cleaning jobs. Most of the window washers agree unanimously that the wind is the most dangerous among those factors that make their work more challenging. It even gets worse when combined with scaffolding while working on skyscrapers or high-rise buildings. At some point, the workers have to get down if the wind is blowing at a speed above 25m.p.h. rather than risking their lives. Sometimes, it is fascinating to work outside rather than inside the building. Window washers appreciate having that freedom of spending their working hours outdoors. Besides working independently, there is also an experience of solitude and peace associated with being suspended up there in the air. Even if many of the window cleaners boast of the peace they experience at their work, there is an element of fear which is actually the inherent part of this profession. Through fear, window washers can apply a lot of care in line with their duties and chances of making mistakes are minimal. In other words, fear is the guiding principle to avoid making mistakes. These workers have to stay awake and alert at all time due to the nature of the job itself. Despite the imminent danger that faces those window cleaners on skyscrapers, the potential or danger and even deaths are extremely rare. This is due to the fact that there is some form of seriousness regarding everyone’s safety. Before starting their work, a lot of inspection is carried out to ensure that everything is in order and safety is always their primary concern. For most of the high-rise window washers, the major perk of their job is the unfolding view that is always witnessed while working. The views play a crucial role in easing the tension that comes with working in such a risky environment. There is a misconception that those working as window cleaners are unskilled and the job itself is easy. On the contrary, there is more to window washing than what most people think. One has to muster the art of rock climbing as one of the prerequisites looking to try their hand in this profession. In the US alone quite a number of organizations have gone an extra mile to ensure that there are training and certification for those willing to take up the challenge in window washing as their career. That is why there is the International Window Cleaning Association, National Institute for Occupational Safety & Health, International Powered Access Federation and Industrial Rope Access Trade Association which aim to make window washing a respected profession. 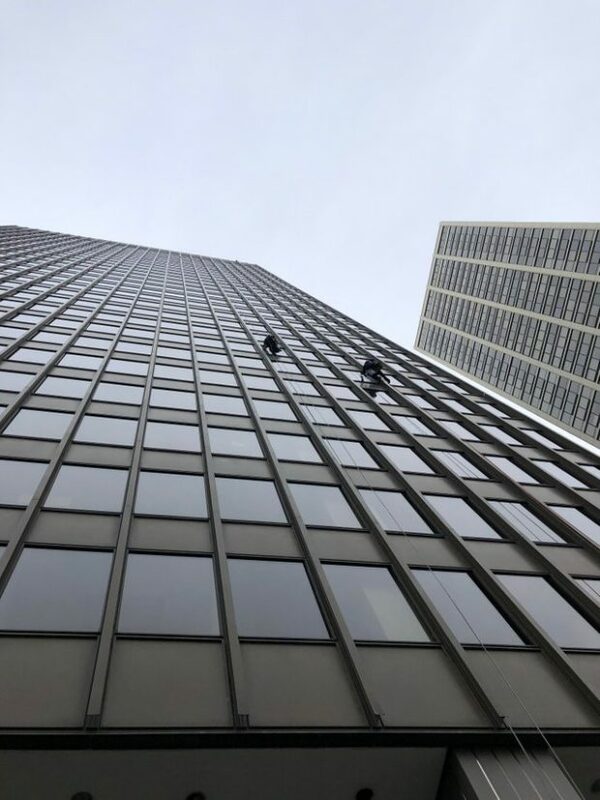 Window washing in Chicago is just like any other profession despite the misconception that has led people to think otherwise. Even though it is a risky undertaking, there are safety measures in place to prevent accidents or deaths in the line of duty.